Jura single malt whisky is marking the end of a monumental year with its new Prestige Range, showcasing some old and rare stocks from their whisky making history. In March 2018, Jura made waves with the unveiling of a full rebrand and re-launch for the brand globally. Featuring a new house style which for the first time brought together sweet and smoky flavours in each expression; the malt whisky maker revealed ten new and unique whiskies available across two new permanent ranges for the domestic and travel retail markets, as well as an innovative new bottle and carton design. The new range of rare and aged expressions aims to continue the fantastic response the brand has received from whisky fans all around the world since its re-launch and further explore the brand’s new house style. Launching with the Rare Vintage Jura 1988 created to capture unique moments from the whisky’s island home; the first expression in the new range will be available in select domestic markets globally. Meanwhile in travel retail an aged Jura 28 Year Old will be available in limited quantities annually. Jura 1988 is an extraordinary single malt, true to the full depth and character of Jura’s house style. The 30-year-old malt whisky has been matured in small batch Bourbon barrels and finished in 20-Year-Old Tawny Port Pipes, for a sweet and subtly smoky drinking experience. Crafted through time and patience, the aged single malt has been cared for by three devoted distillery managers, with a collective 90+ years’ service at Jura to date. Beginning its life in 1988 under the watchful eye of then distillery manager, Willie Tait laid down the precious cask awaiting its future reveal. 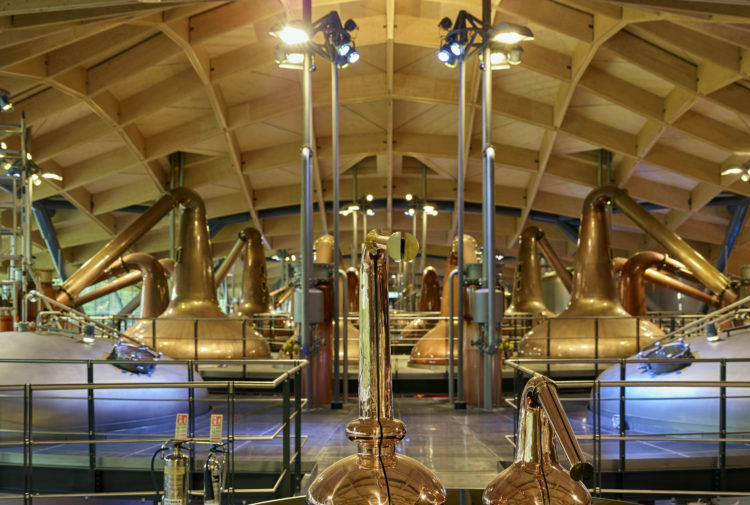 Tenderly watched over by Tait until 2005, when long term distillery worker turned distillery manager, Willie Cochrane, took over its safe-keeping. Following Cochrane, the cask was guarded by the now distillery manager, Graham Logan, who took to the helm in 2016. As a result, this incredible bottling is a true labour of love and sure to reveal many tales from the island’s home. 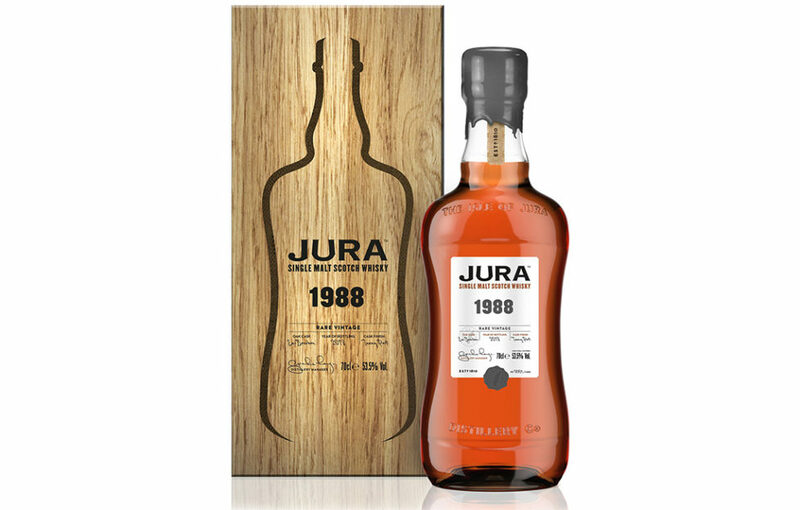 Jura Rare Vintage 1988 is first matured in American White Oak small batch ex-Bourbon barrels, delivering a sweetness that features delicate flavours of honey, vanilla, lemon cake, baked apple and a touch of peat. 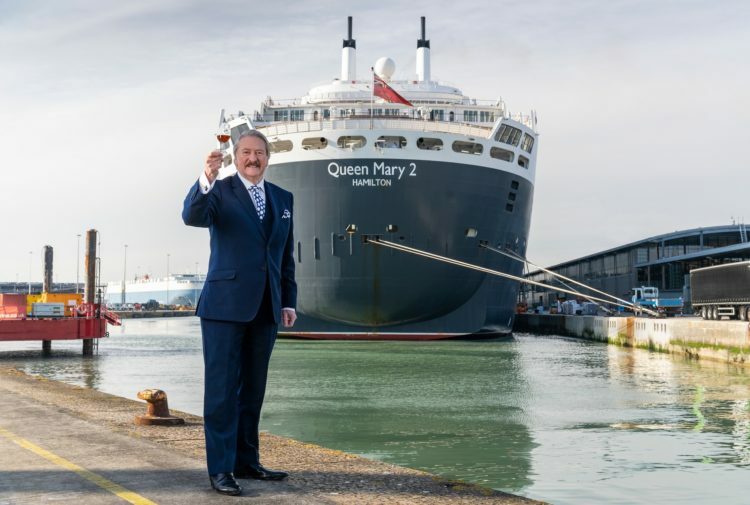 The spirit is then enhanced by several years of maturation in the finest hand-selected 20-Year-Old Tawny Port Pipes, sourced from the Symington Family Estates, lending notes of black forest fruits and coffee on the nose and red berries and liquorice to taste. There are only 1406 bottles of this release (53.5% ABV – Cask Strength), which is natural colour and non-chill filtered, and delivers a whisky experience that is as close as you can get to tasting straight from the cask. This is the first in a number of vintage releases from the brand. Jura 28 Year Old, a new permanent expression, will be available annually in limited quantities in global travel retail. This super aged malt whisky embodies the ingenuity of Jura’s whisky makers through the years. This characterful single malt is matured in freshly emptied American White Oak, ex-Bourbon barrels and sits patiently for many years, protected from the island elements. 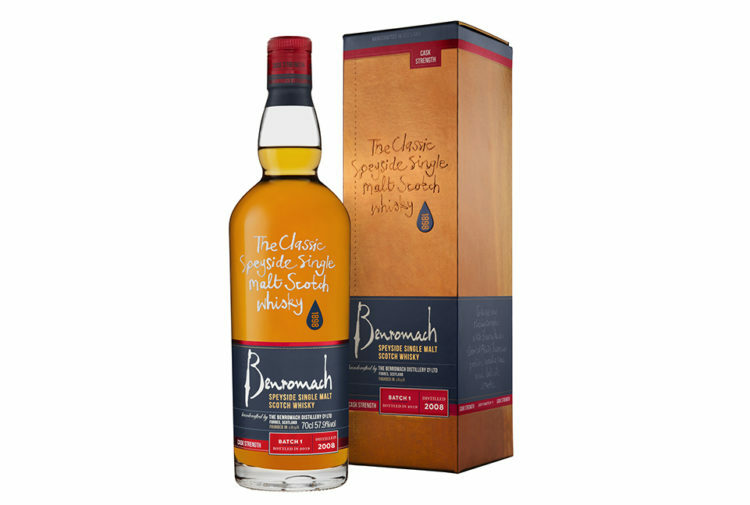 It develops a sweetness with a touch of peat, before being finished in aged Amoroso sherry butts, revealing a deep aroma and flavour, with notes of lemon and vanilla on the nose and coffee, almond and fruit to taste. Bottled at 47% ABV, non-chill filtered and natural colour, this release is available as a travel retail exclusive with an RSP of £399. The bottle is packaged in an eye-catching display case, making it a welcome addition for collectors and whisky fans alike. Jura Rare Vintage 1988 is now available in select domestic markets globally, RSP £650. 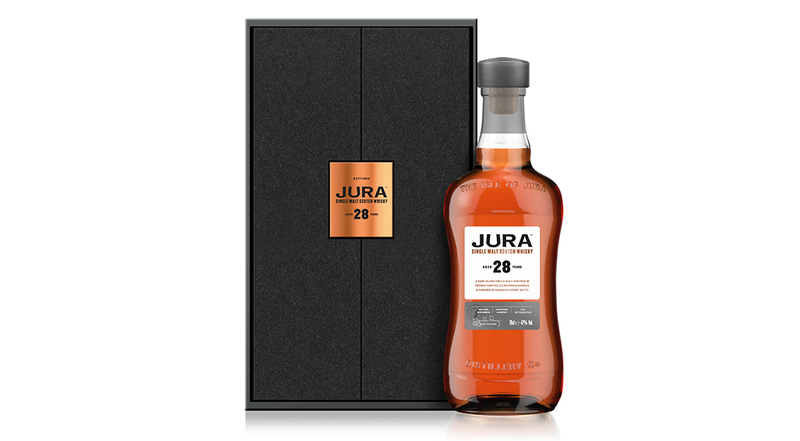 Jura 28 Year Old will be available in duty free retailers globally from late December 2018, including select World Duty Free ‘World of Whiskies’ stores, RSP £399.